Mathias Sinning is a Senior Lecturer at the Crawford School of Public Policy of the Australian National University (ANU). He studied at the University of Heidelberg where he received his diploma in Economics in 2004. 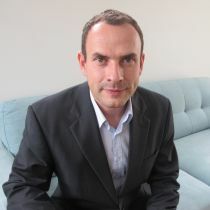 He received his Ph.D. in Economics from the University of Bochum in 2008. He has previously held academic appointments at the ANU and the University of Queensland and has been a Visiting Fellow at Princeton University. He is interested in the empirical analysis of issues related to economic inequality, education and migration and has published articles in journals such as Economic Inquiry, Health Economics and Industrial and Labor Relations Review. He is a member of the Global Network on Child Migration of Princeton University and a Research Fellow of RWI Essen and IZA Bonn. Mathias Sinning joined CReAM as an external fellow in December 2010.